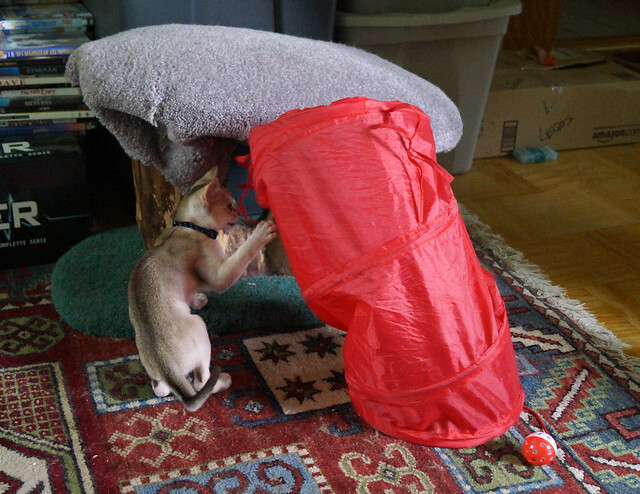 I posted a few of the photos from this series back when I rebooted this blog, but in looking for photos to commemorate Logan’s birthday, I finished editing the rest of them. 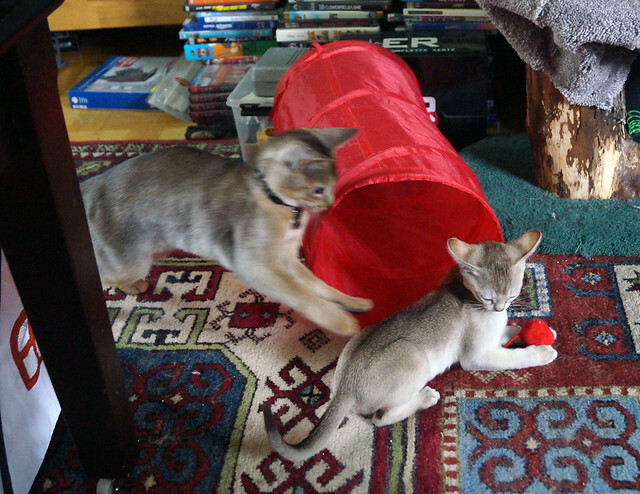 These photos were taken three days after Logan came to live with us. 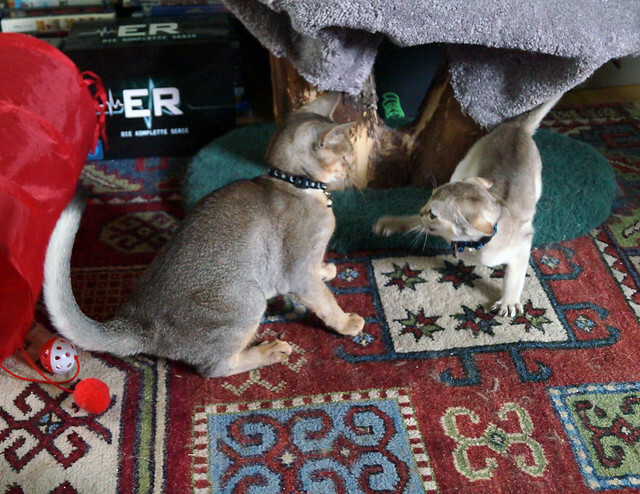 Alfred, coming from a litter of five, was excited to see a cat his age in our house. 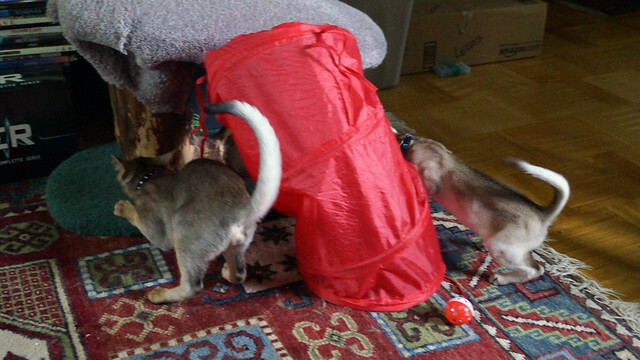 The adult cats mostly just hissed at him. 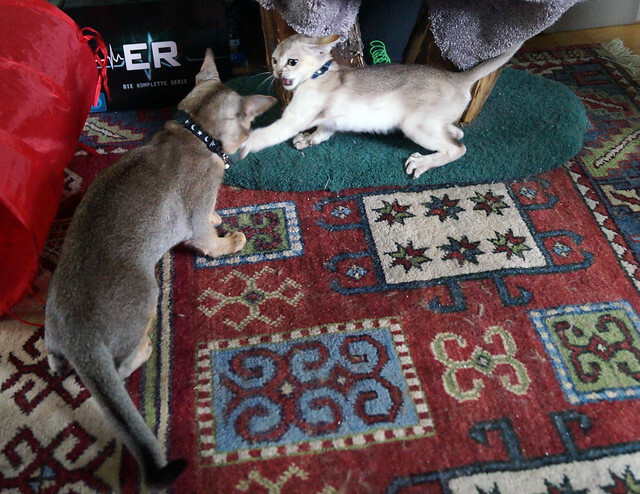 Logan was…less thrilled to meet Freddy. 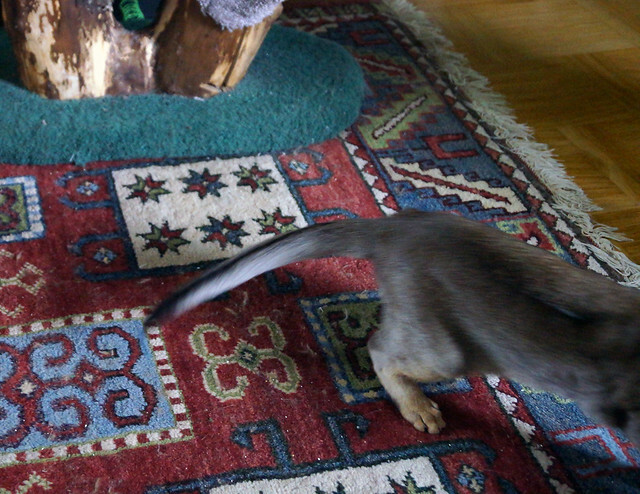 He even managed to chase him off, despite being a month younger and tiny. 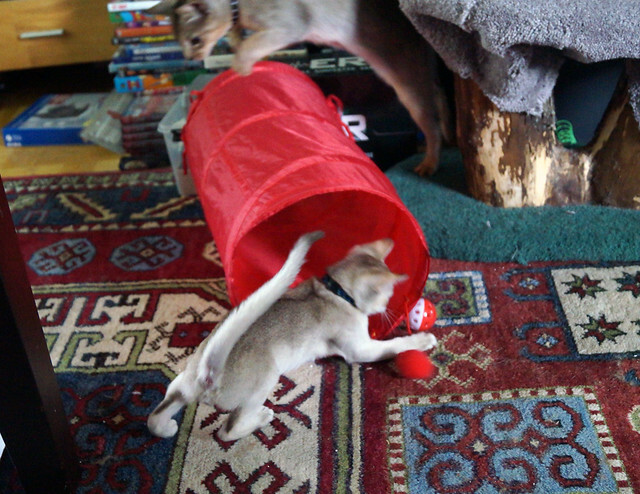 But then Logan attacked Freddy! 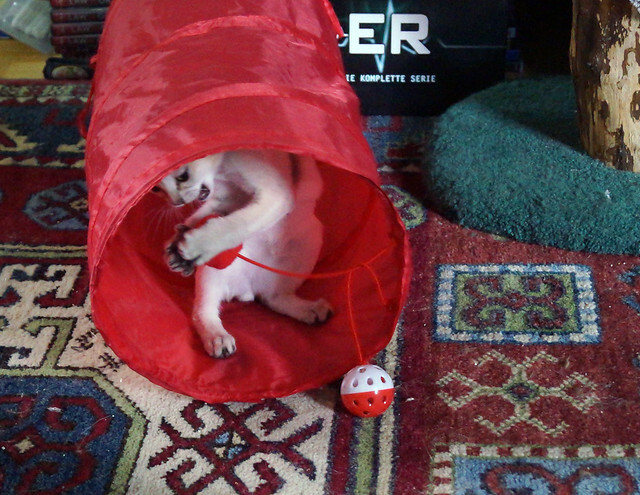 And Freddy was so excited! 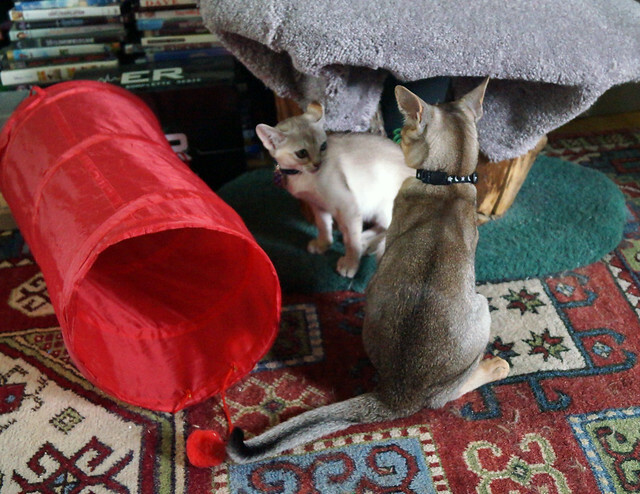 A playmate at last! 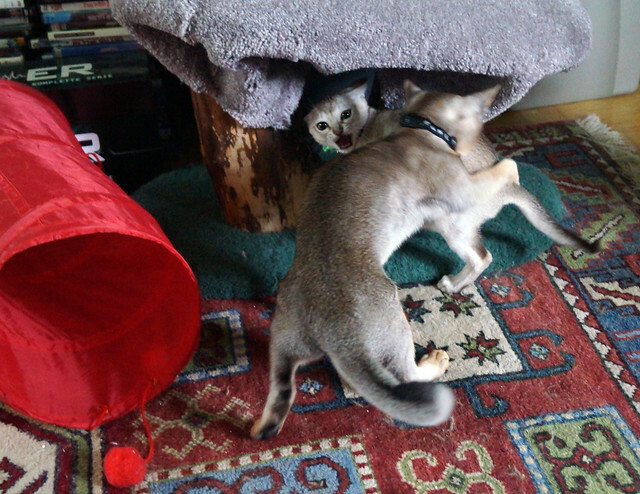 But Logan proved to be a tough adversary. 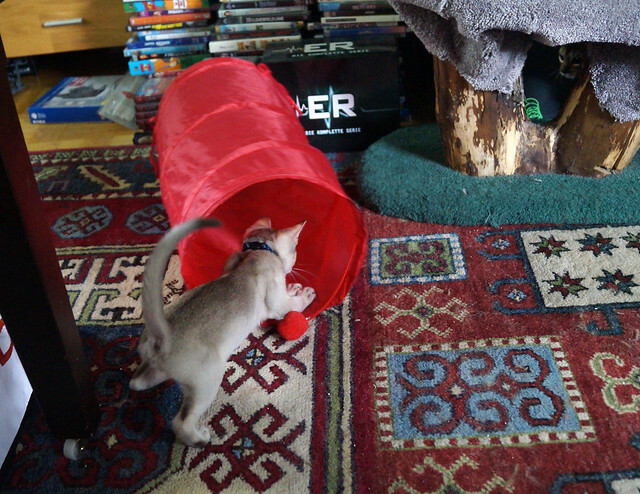 And Freddy actually ran away! 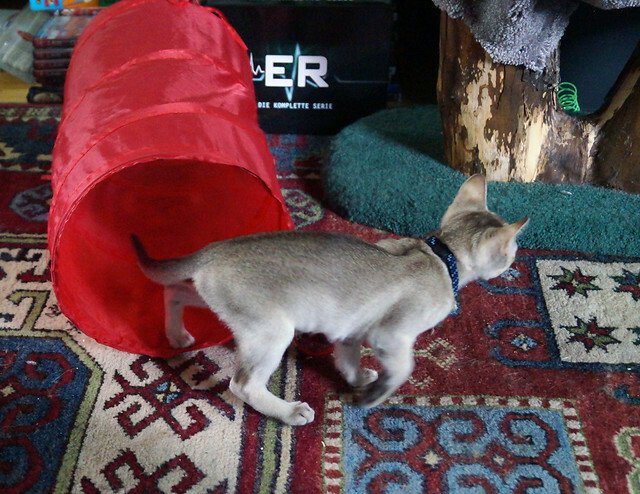 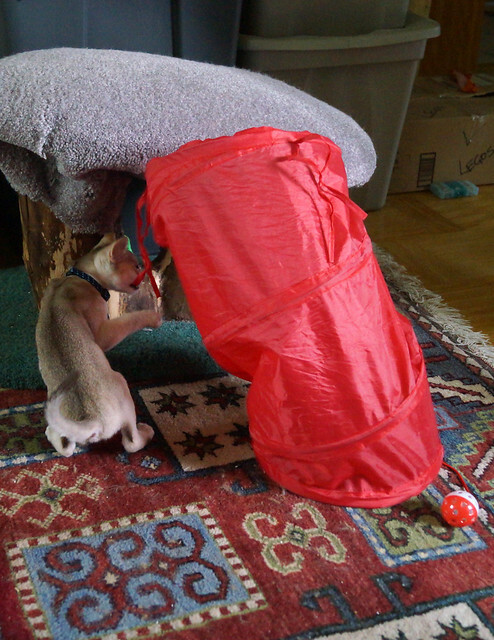 With Freddy out of the room, Logan felt free to play with the tunnel we had. 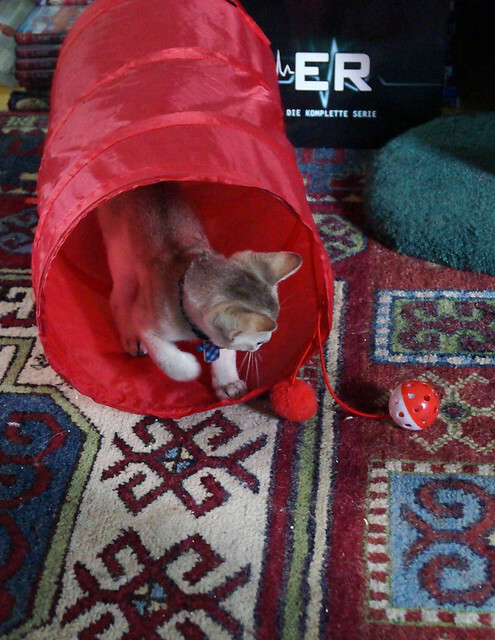 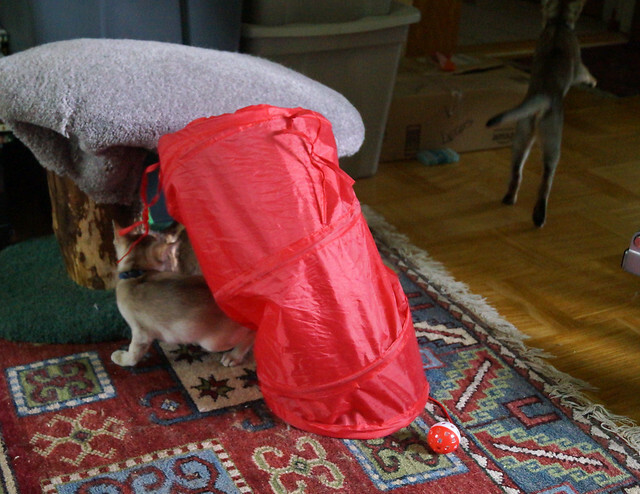 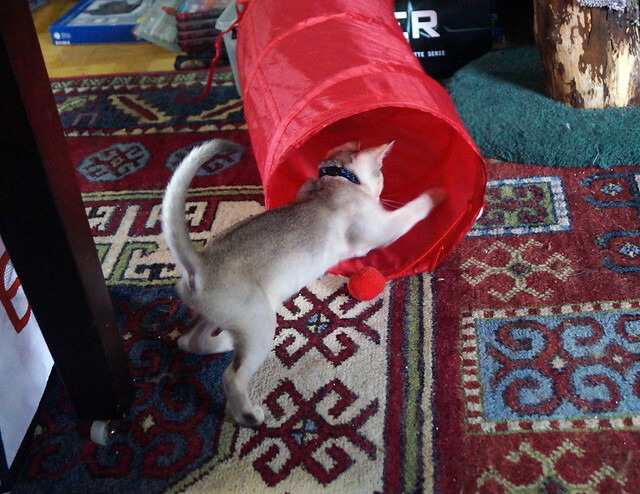 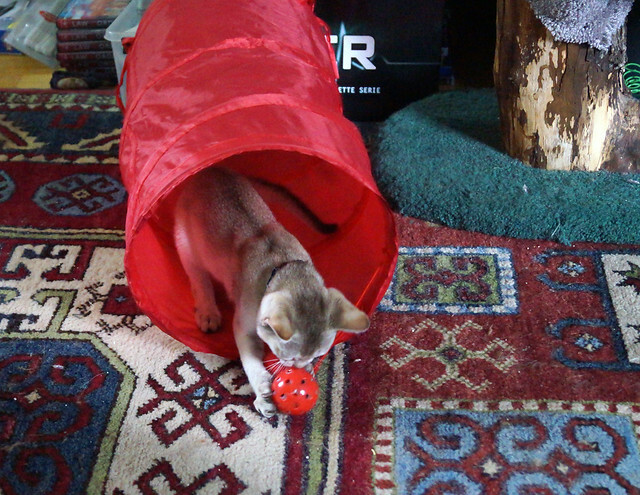 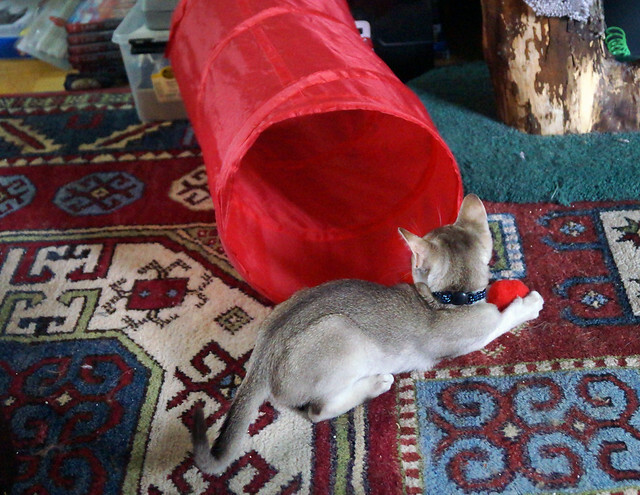 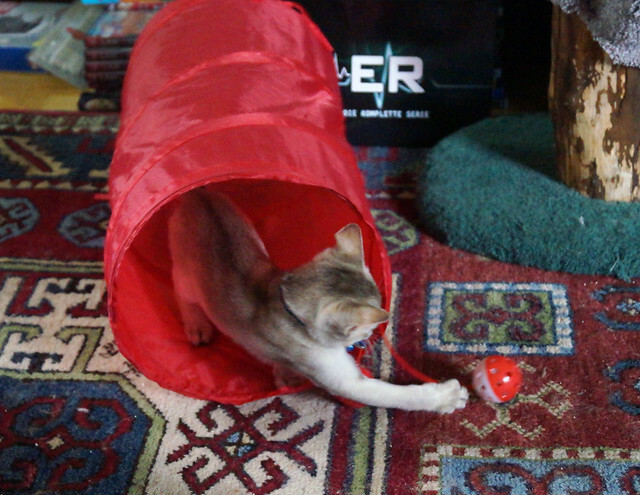 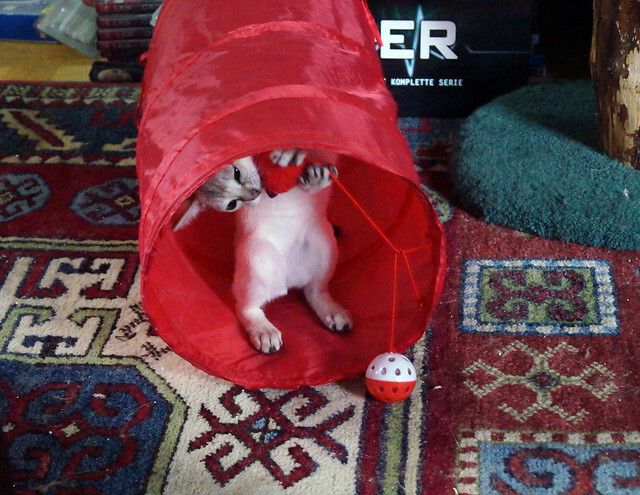 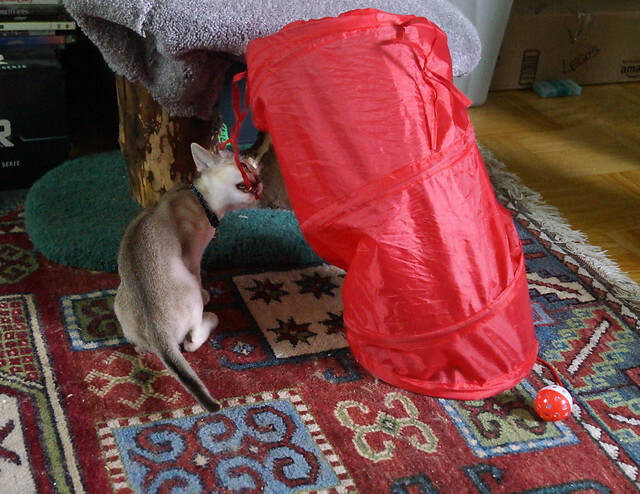 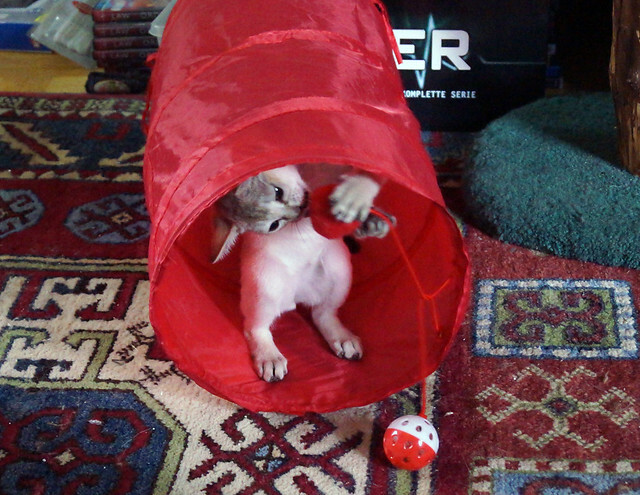 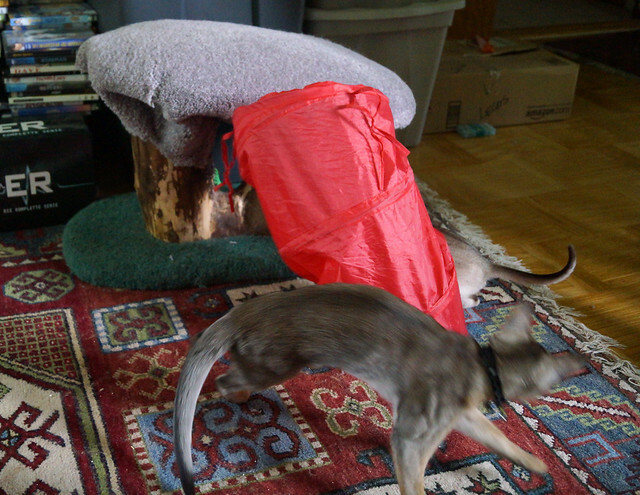 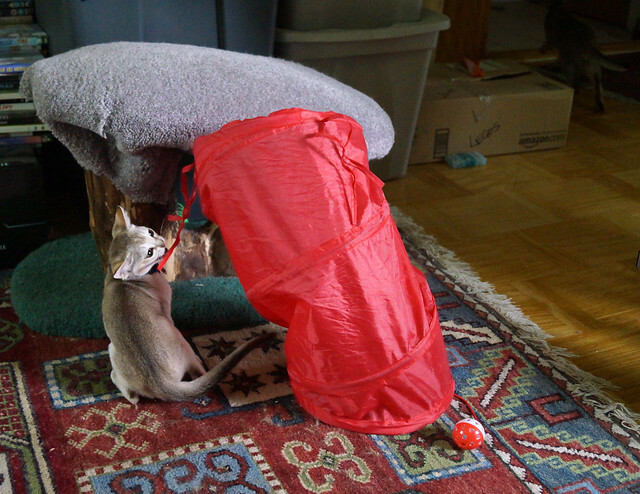 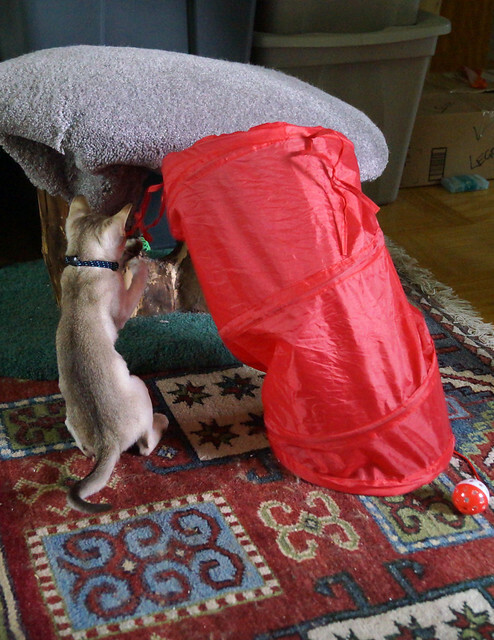 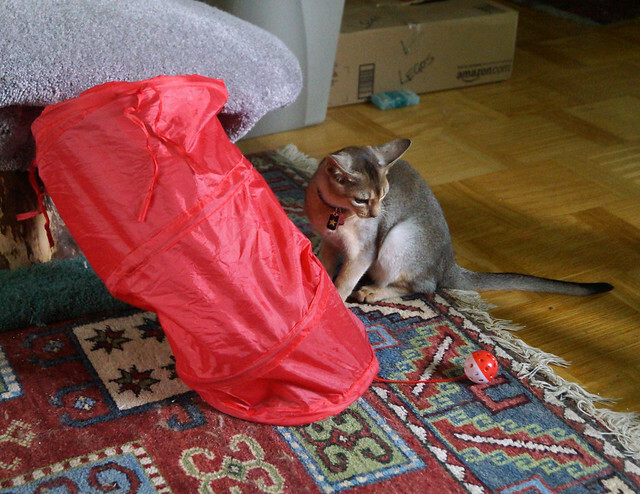 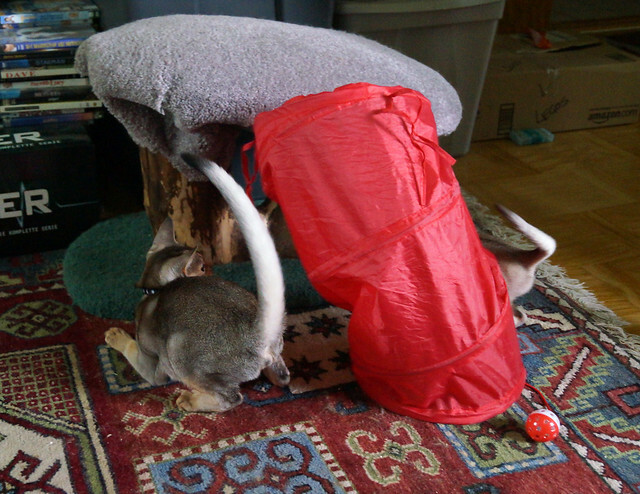 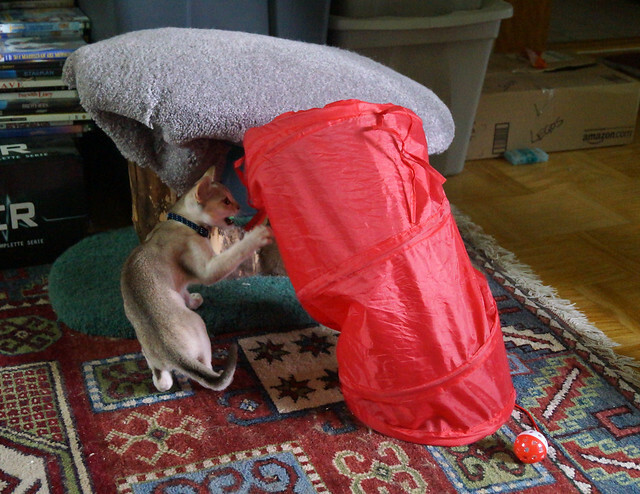 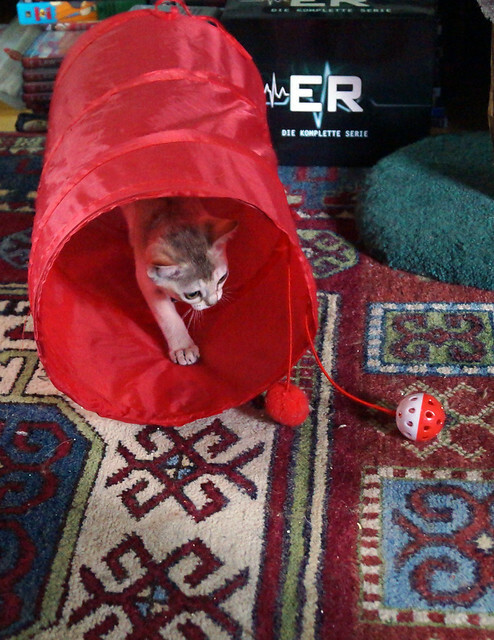 Somehow, he managed to put the tunnel in its more conventional horizontal position. 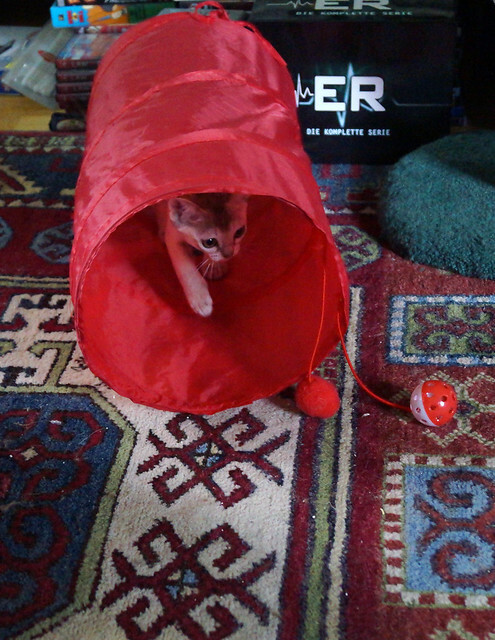 Logan was having a lot of fun playing with the tunnel by himself. 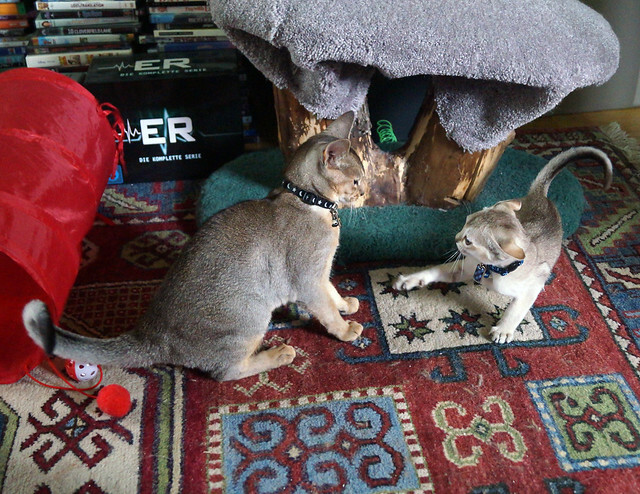 Especially considering that he was a month younger and a kilo lighter than Freddy. 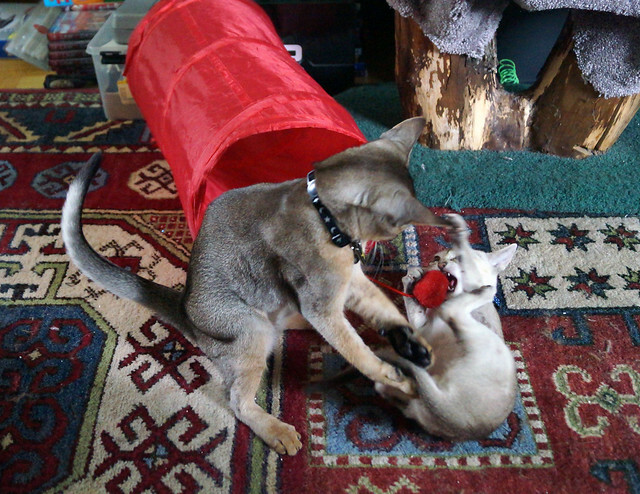 Such a fierce little cat! 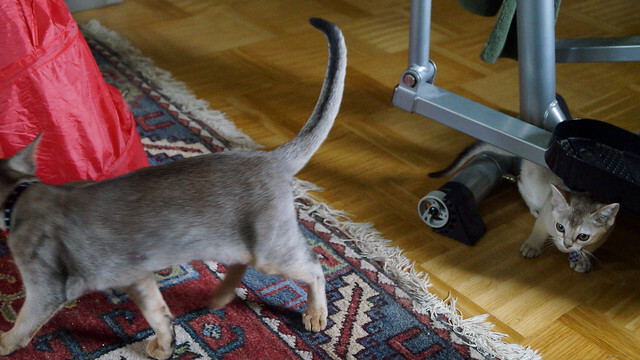 Look at those airplane ears! 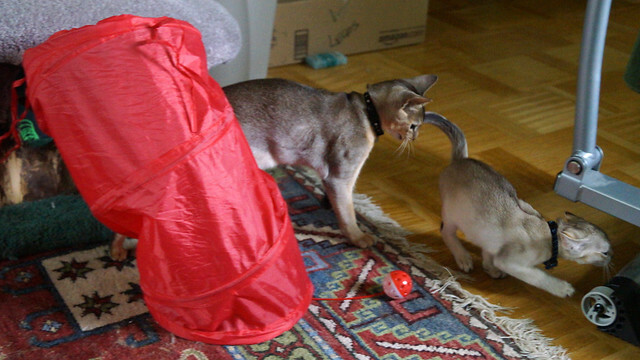 Looking just at these photos, you would never know they’d end up being so closely bonded. 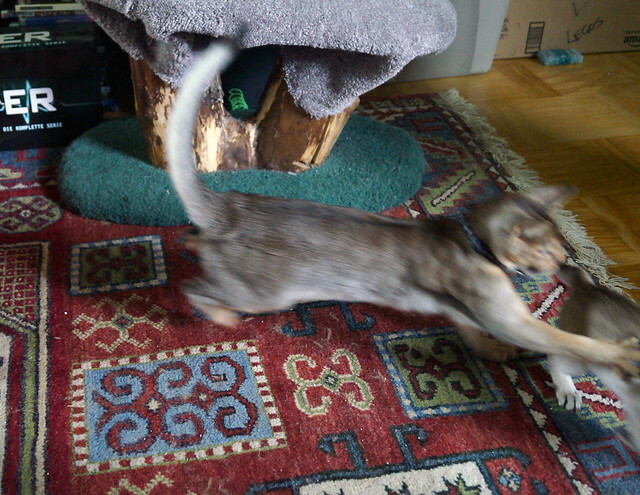 Unfortunately, I didn’t take videos of this play session, but I got this one of Logan playing with Kalle and a wand toy. 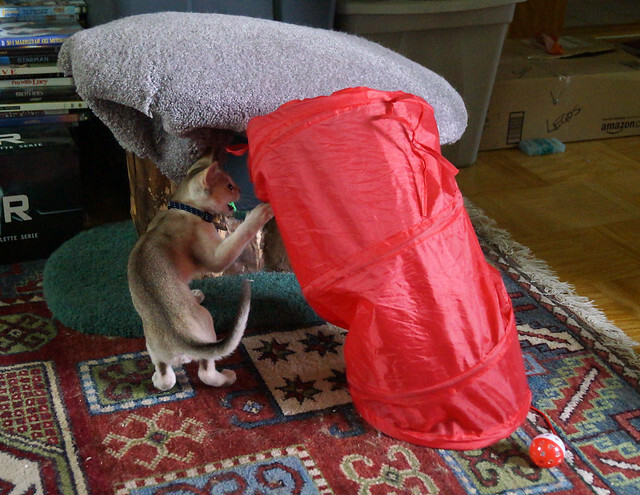 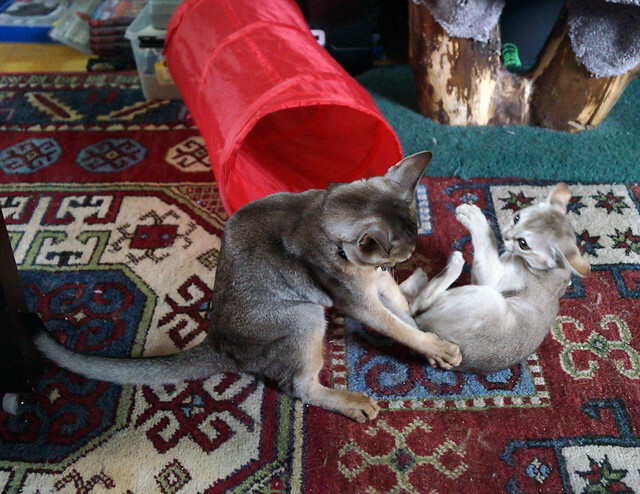 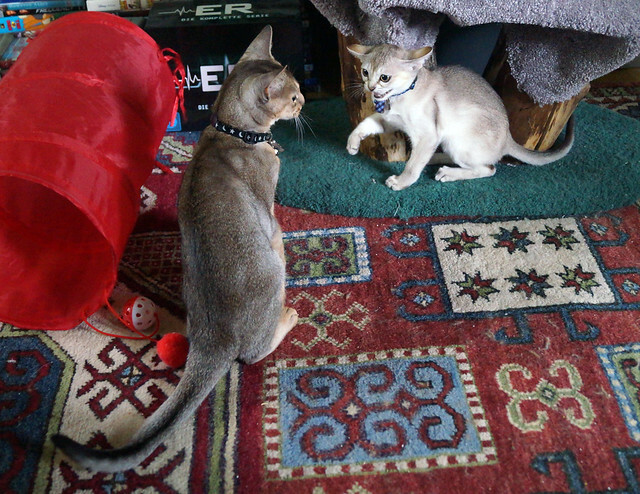 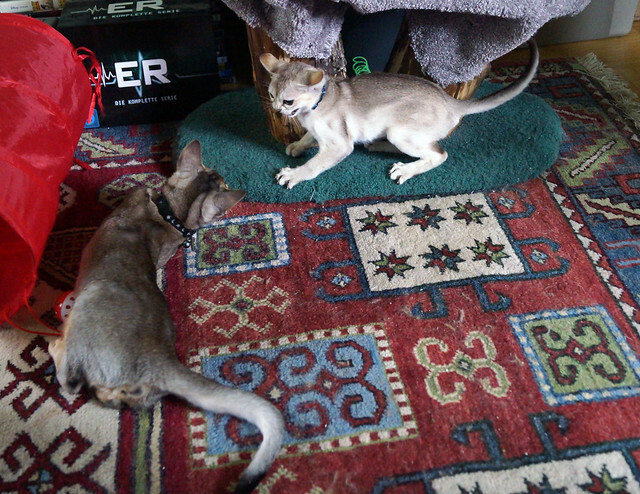 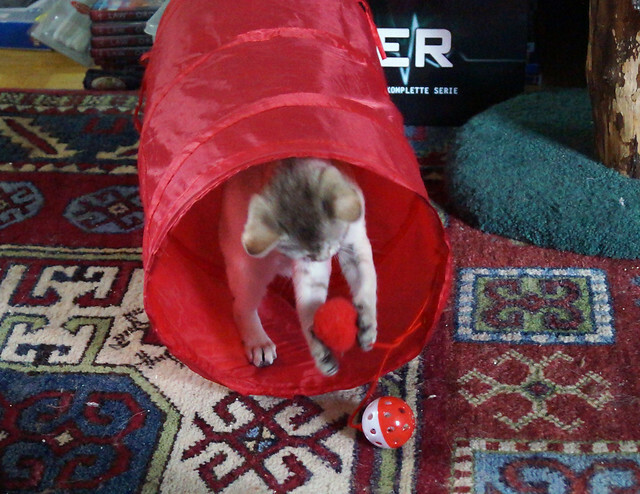 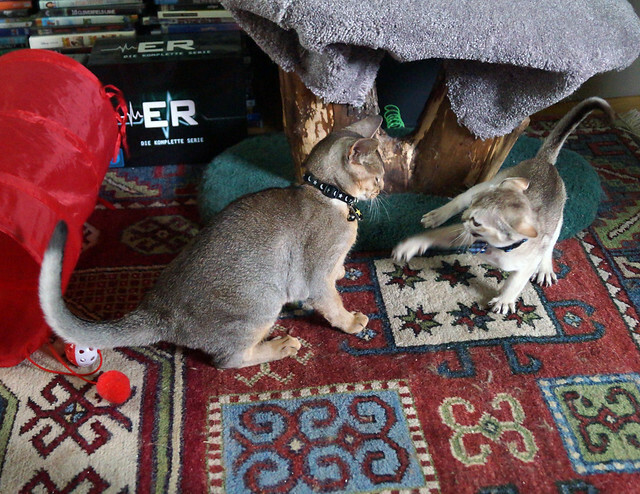 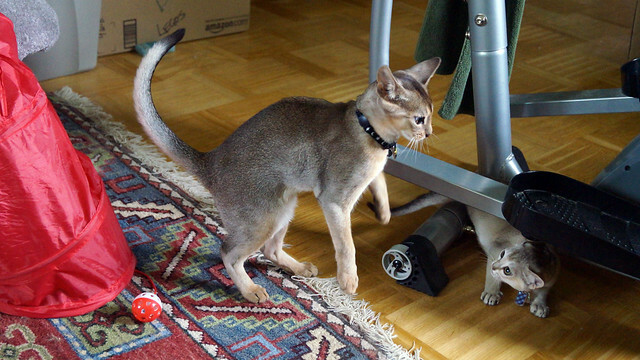 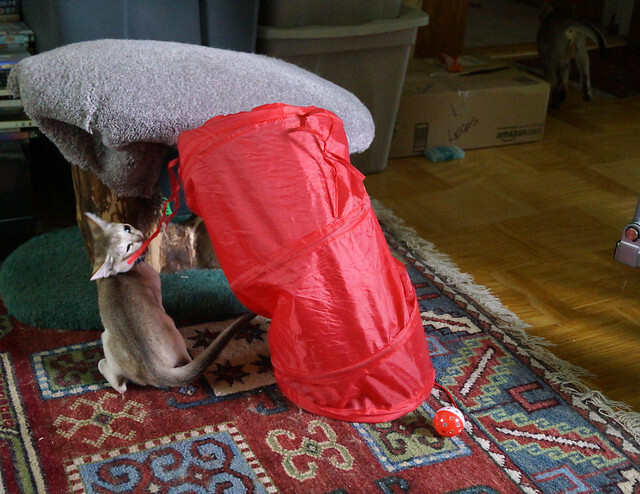 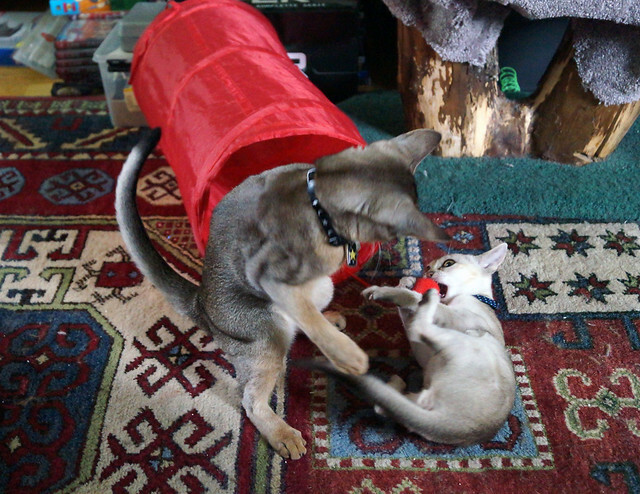 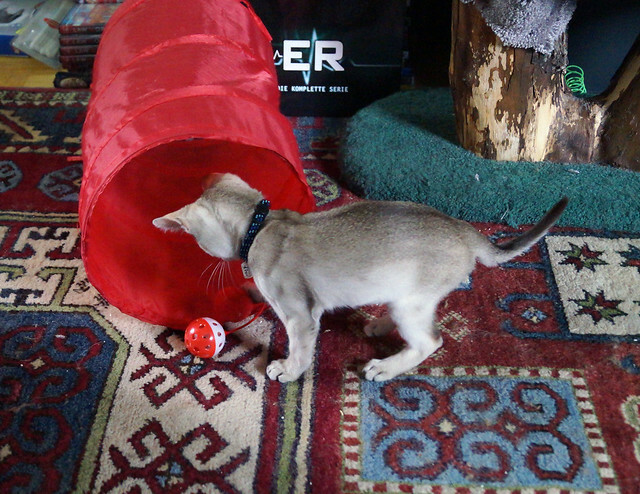 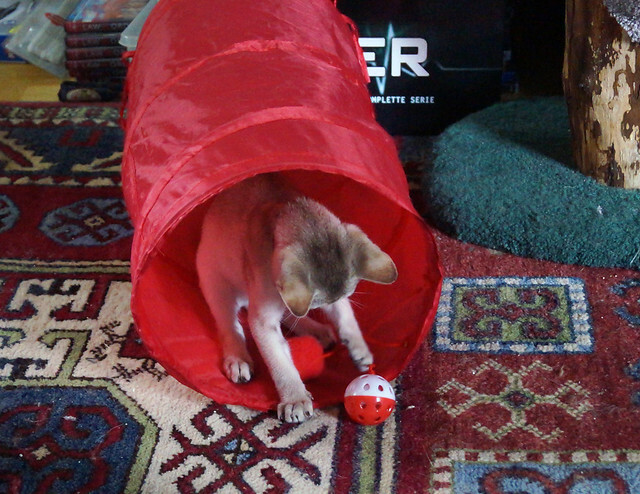 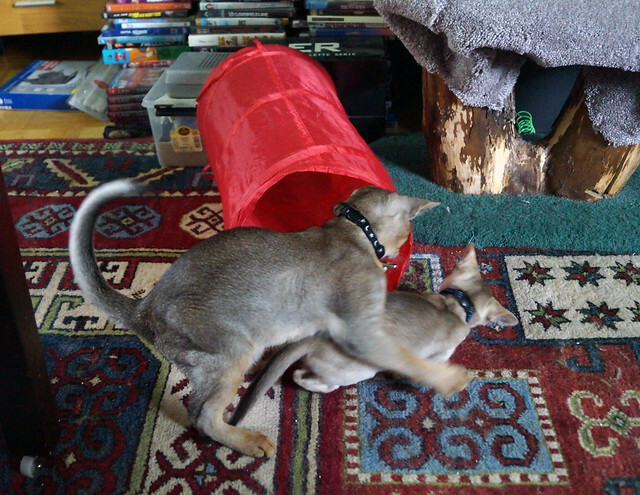 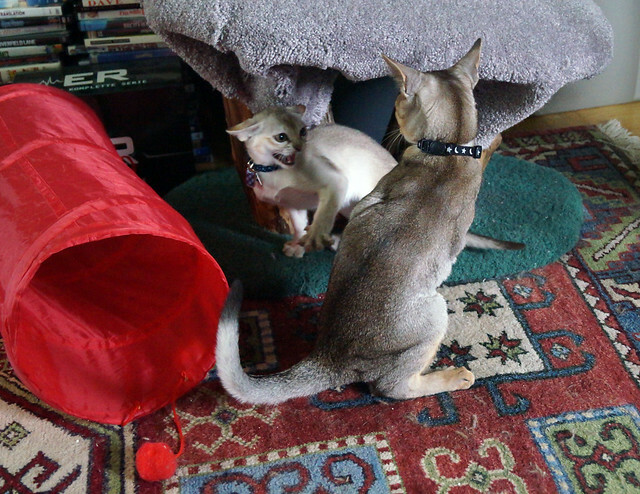 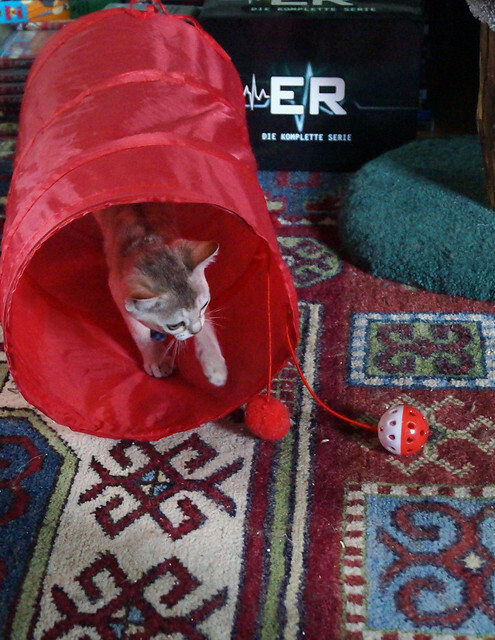 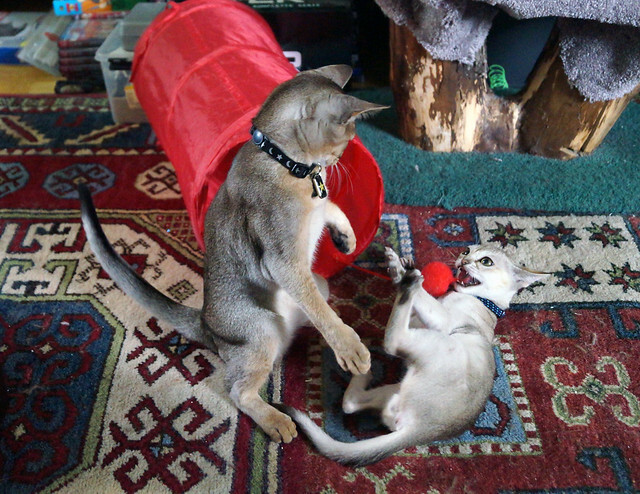 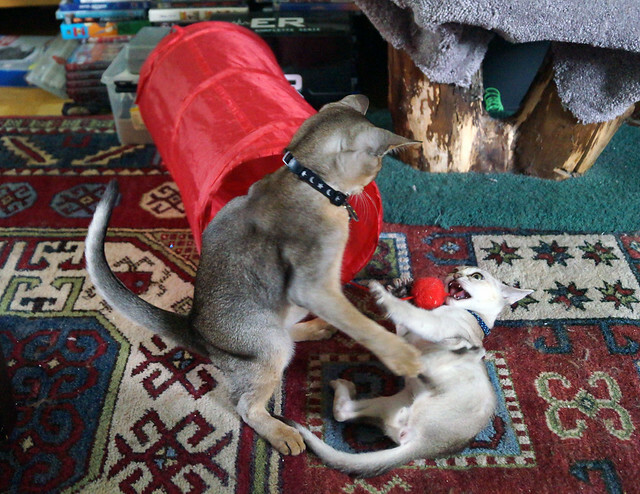 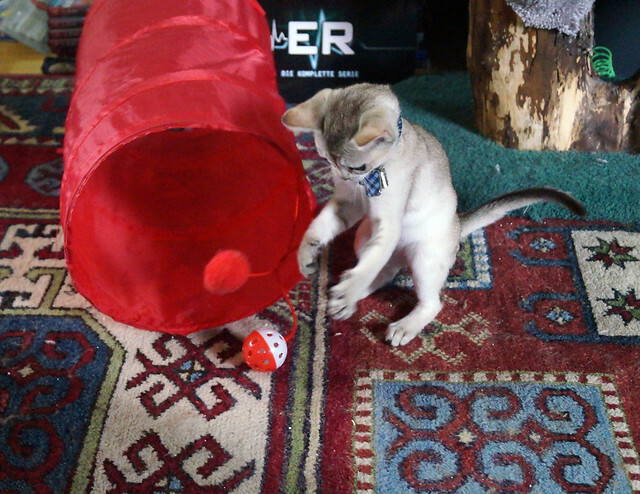 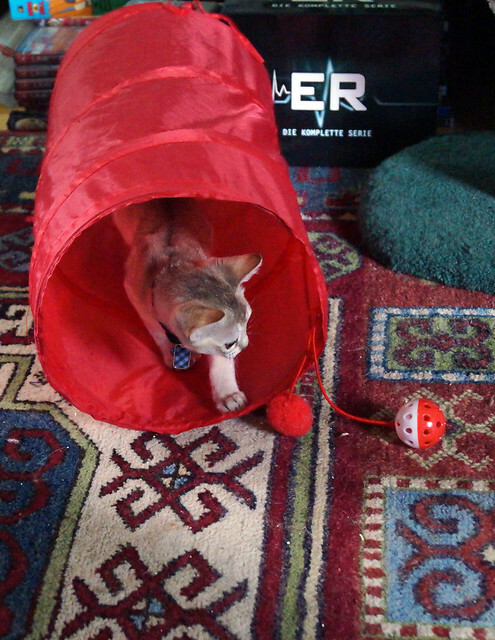 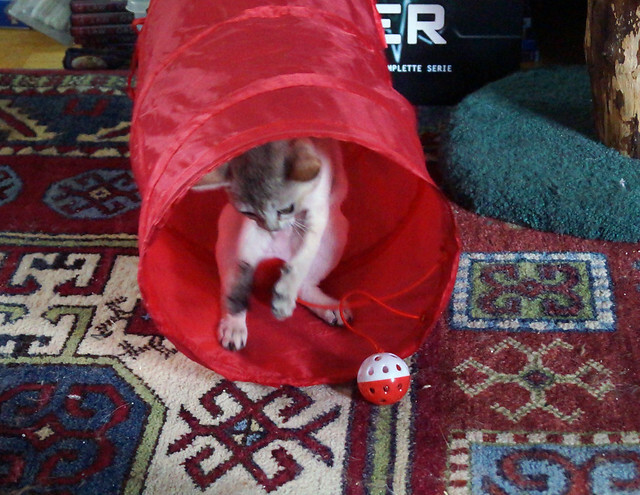 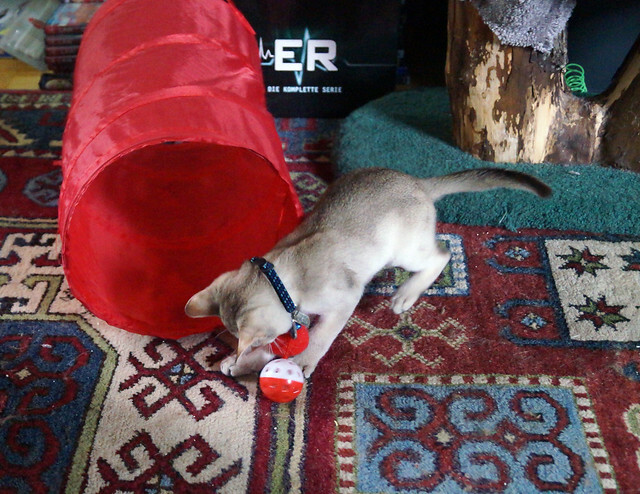 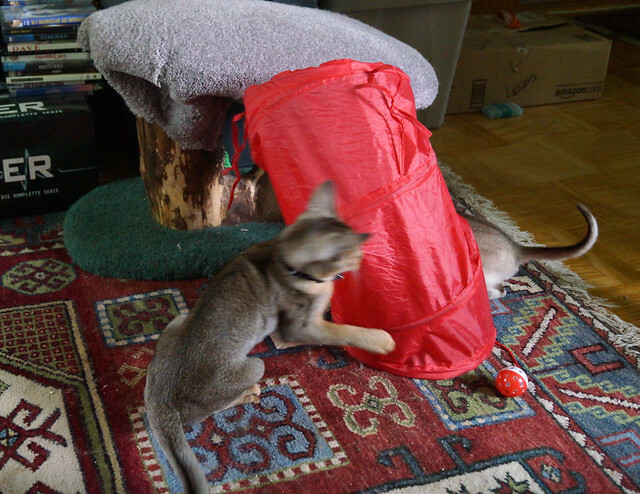 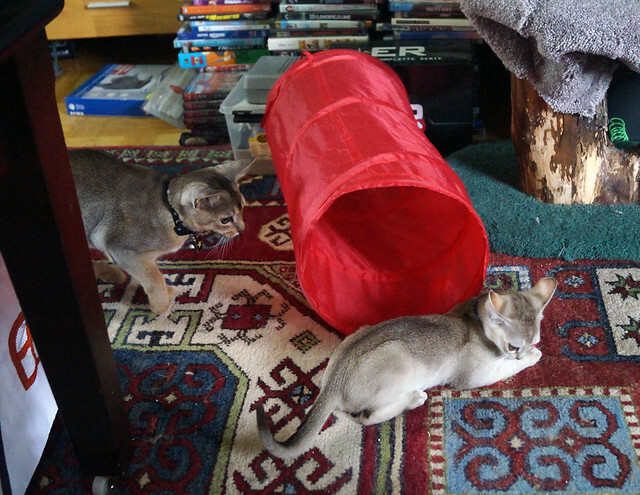 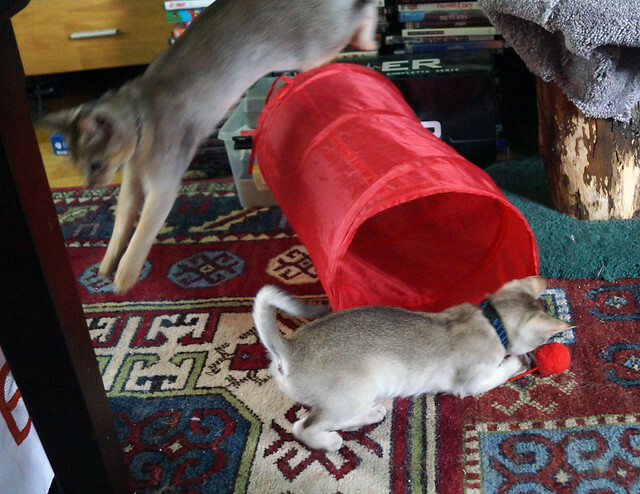 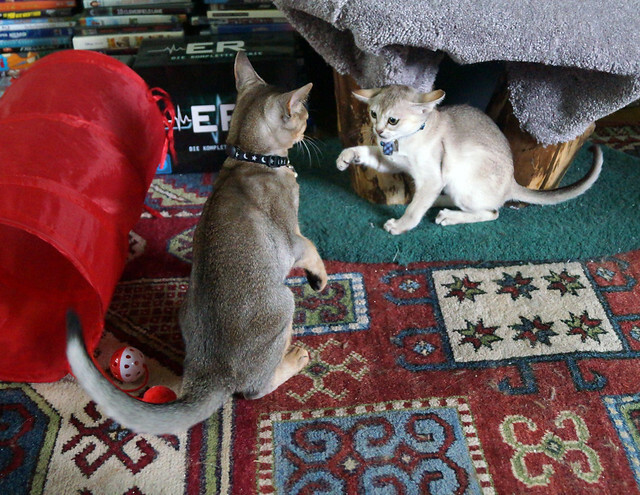 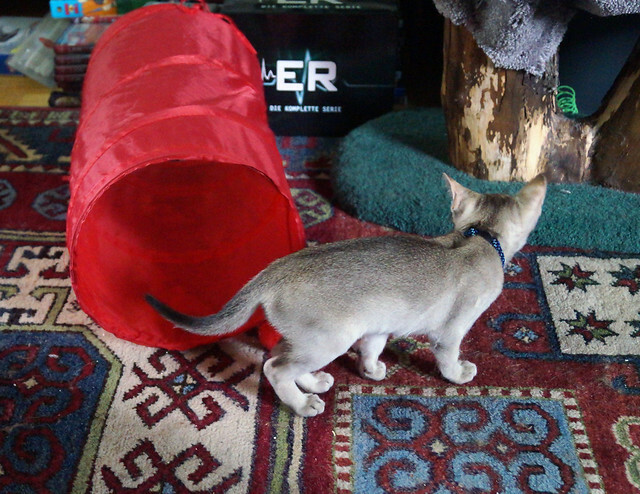 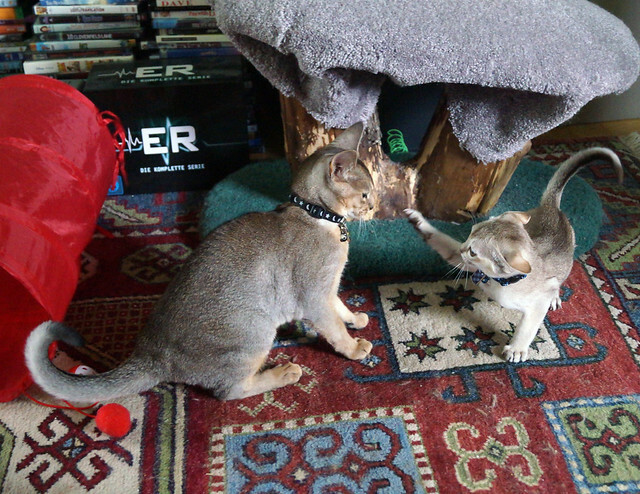 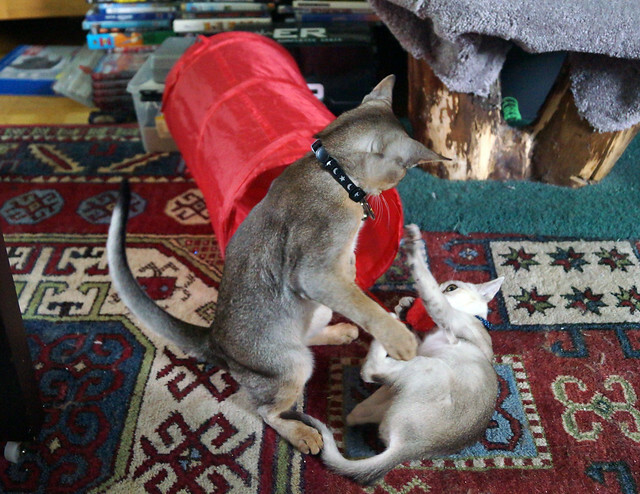 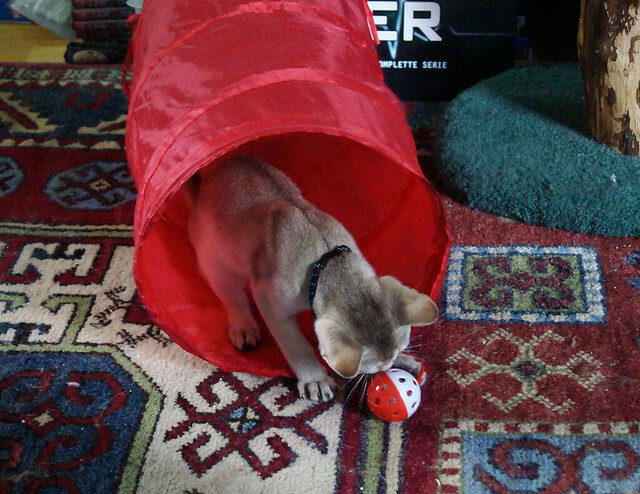 And this one of Freddy and Logan playing in the spare bedroom, aka the “kitten room.” Both videos were made the first few days Logan came to live with us. 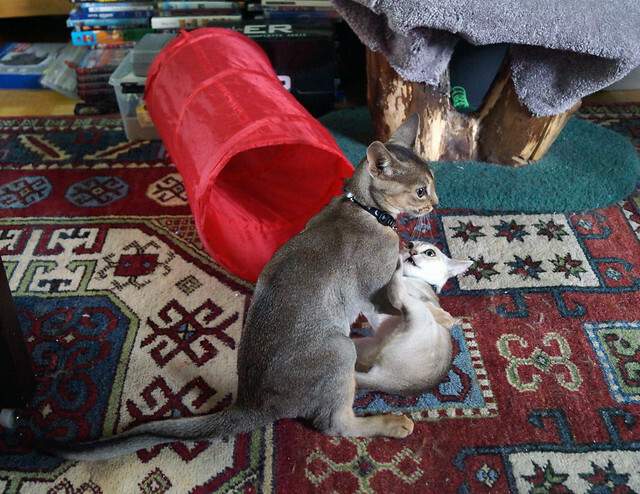 Those two really were cute together.